Special art shows during the second half of 2018 in Vienna include major exhibitions on Pieter Bruegel the Elder and Claude Monet as well as further events dedicated to Viennese Modernism artists Klimt, Schiele, Wagner and Moser. Highlights of the Viennese art scene during the second half of 2018 include the world’s first monographic exhibition of Pieter Bruegel the Elder’s work and a comprehensive Claude Monet exhibition. Vienna will also continue to celebrate the four artist of the Viennese Modernism that died in 1918 in a series of exhibitions grouped under the theme Inspired by Beauty and the Abyss. Klimt.Schiele.Wagner.Moser. Photography and modern art will also be major cultural draws to Vienna towards the end of 2018. Fast track admission to most of these museums is included on the Vienna Pass while advance online tickets to individual museum are available at Tiqets. 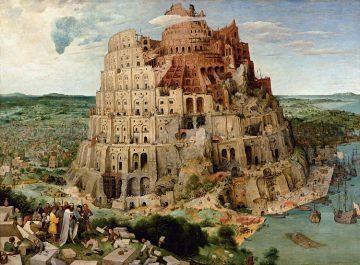 The two big-name artist with major solo exhibitions in Vienna towards the end of 2018 are Pieter Bruegel the Elder and Claude Monet. 2019 is the 450th anniversary of the death of Pieter Bruegel the Elder (ca. 1525/30 – 1569). To mark the occasion the KHM will be devoting the world’s first major monographic exhibition to the most important Dutch painter of the sixteenth century. Just over 40 paintings by Bruegel have survived to this day. With 12 paintings in its holdings, the KHM owns by far the largest collection in the world. In the Bruegel exhibition, these works will be displayed together with a number of special loan works. Due to the fragility of the Bruegel paintings on wood, these works are only rarely seen together in single exhibitions. The Albertina is staging Austria’s largest presentation of works by Claude Monet (1840–1926) for more than 20 years. The exhibition covers all stages of his career from his early pre-impressionist works to the very last paintings that he created in his garden in Giverny. The retrospective feature 100 paintings lent by 40 collections worldwide. The exhibition will devote a large section to Monet’s treatment of color. 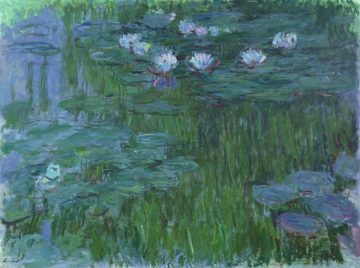 It will use three of the Albertina’s own paintings together with several loan works to show how Monet developed his use of color and light in his water lilies paintings. Vienna will celebrate Viennese Modernism and four of the era’s chief protagonists in 2018, all of whom died in 1918. The painters Gustav Klimt and Egon Schiele, the architect Otto Wagner and the universal artist Koloman Moser all left an indelible mark on Vienna around 1900. 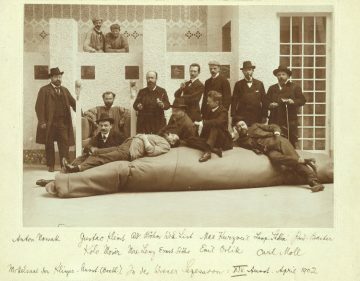 Their life and work will be remembered at numerous exhibitions during the anniversary year. During 2018, a variety of exhibitions is staged in many of Vienna’s top museums and galleries us as overarching theme: Beauty and the Abyss. Klimt. Schiele. Wagner. Moser. (Schönheit und Abgrund. Klimt. Schiele. Wagner. Moser.) Many of these exhibitions, including several on Gustav Klimt and Egon Schiele, are on during the first half of 2018 – see Top 2018 Art Exhibitions in Vienna: Klimt, Schiele, Viennese Modernism for more details. Dora Kallmus opened her photographic studio in Vienna in 1907 and over the following five decades photographed the great names of the twentieth century. She photographed artists from Gustav Klimt (1908) to Pablo Picasso (1956). Her work ranged from the final years of the Austro-Hungarian monarchy to the horrors of the Second World War. Moriz Nähr (1859-1945) was a close friend of Gustav Klimt and Succession artist. He was also linked to Ludwig Wittgenstein and the imperial Habsburg family, which led to his appointment as court photographer in 1908. 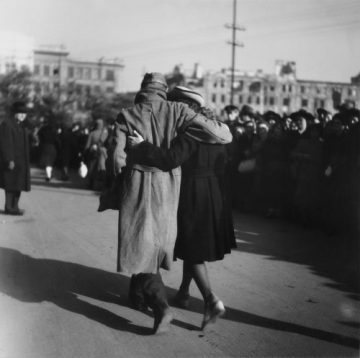 His oeuvre includes landscape, architecture, portrait and street photography. Everything Japan was the rage in the art communities of Europe during the late 19th century. The Japanese use of colors and woodcut prints fascinated many artists who tried to incorporate some of the Asian ideas in their own work. 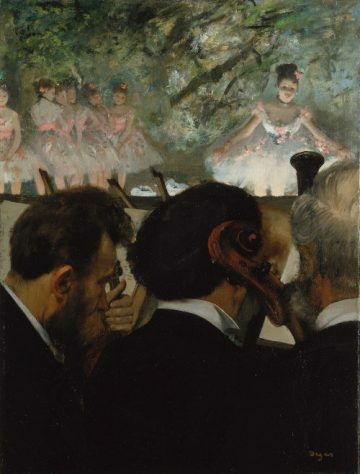 Japonism started in Paris during the 1960s and became popular in Austria especially through the 1873 Vienna World Exhibition. It inspired artists such as Monet, Manet, Van Gogh, Degas, Toulouse-Lautrec, Franz Marc, and Wassily Kandinsky. Influences of Japonism are also visible in the works of Gustav Klimt and Egon Schiele. Also see Van Gogh & Japan – a major special exhibition in the Van Gogh Museum in Amsterdam from 23 March to 24 June 2018. Oct 10, 2018-Jan 20, 2019 in the Bank Austria Kunstforum Vienna, Freyung 8, 1010 Vienna. 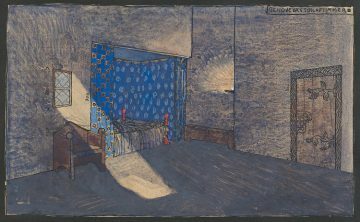 Koloman Moser was a universal artists with this exhibition looking at his contributions to stage designs. 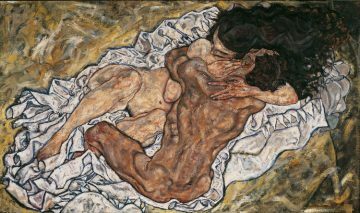 To commemorate the centenary of Egon Schiele’s death, the Belvedere will display its vast collection of Schiele works. The exhibition will emphasize the history of the collection: how the Belvedere acquired the works and the persons depicted. It will also present some of the findings of research into Schiele’s works and methods obtained from the Belvedere’s restoration workshop in recent years. The MAK – Austrian Museum of Applied Arts/Contemporary Art has several exhibitions during 2018 on Koloman Moser, one of the most versatile artists of the Viennese Modernism. This major exhibition will show the versatility and extend of his large oeuvre that included paintings, graphics, applied arts, interior decorations, fashion and theatre sets. Dec 19, 2018-Apr 22, 2019 in the MAK – Austrian Museum of Applied Arts/Contemporary Art, Stubenring 5, 1010 Vienna. This exhibition takes a photographic journey back in time through Austrian history beginning in 1918, leading up to the present day. For Austria a momentous century that started off with the end of the Austro-Hungarian monarchy, followed by the horrors of the Second World War and the international tension of the Cold War period. The project, undertaken in cooperation with Photoinstitut Bonartes, shows around 100 works from the mumok collection alongside loan pieces from Austrian and international institutions. 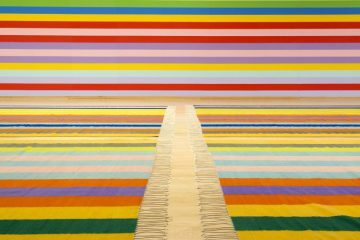 The American artist Polly Apfelbaum will display several of her large-scale installations alongside one another at Belvedere 21 for the first time. Presented as a poetic holistic composition, they will initiate a dialog with the open, light-filled architecture of the former World Fair pavilion. Sep 7, 2018-Feb 10, 2019 in the Belvedere 21, Arsenalstrasse 1, 1030 Vienna. 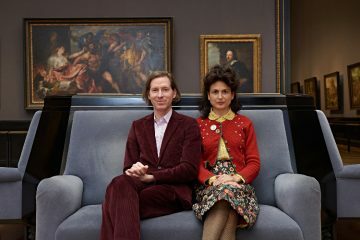 The Kunsthistorisches Museum Vienna has invited multi-award-winning US filmmaker Wes Anderson and his wife Juman Malouf to curate an exhibition of objects from its collections. 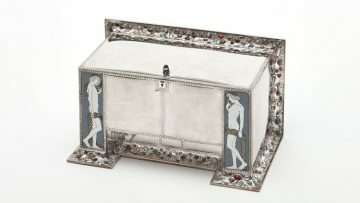 The exhibition will feature pieces from the Picture Gallery, the Egyptian and Near Eastern Collection, the Collection of Greek and Roman Antiquities, the Kunstkammer, the Collection of Arms and Armour, the Collection of Historic Musical Instruments, the Coin Collection, the Imperial Carriage Museum Vienna, the Weltmuseum, the Theatre Museum and Schloss Ambras Innsbruck. This large-scale themed exhibition puts a genre back in the spotlight that is enjoying something of a renaissance in contemporary art: still life. 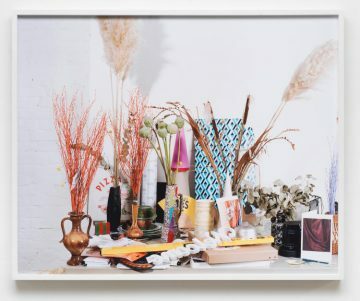 Far from being about the nostalgic appeal of an almost forgotten genre, this contemporary re-evaluation is all about artists’ radical reappraisal of the art of the still-life as a means of expression. It is a question of shaking up established image conventions and extrapolating a clearly demarcated artistic alternative to the largely antiquated heritage styles and practices – with regard to the space in which the objects are placed, the space containing the subsequent images, and the space occupied by photography as a genre. Sep 13, 2018-Feb 17, 2019, Kunst Haus Vienna Museum Hundertwasser, Untere Weissgerberstrasse 13, 1030 Vienna. 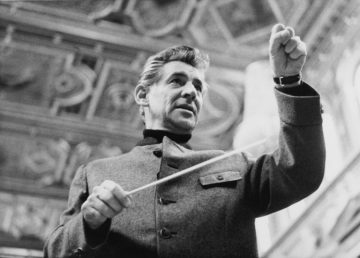 Two central questions guide visitors through this exhibition staged by the Jewish Museum Vienna to coincide with what would have been the star conductor and composer’s 100th birthday: Why did the Viennese need Leonard Bernstein? And why did Bernstein need Vienna? 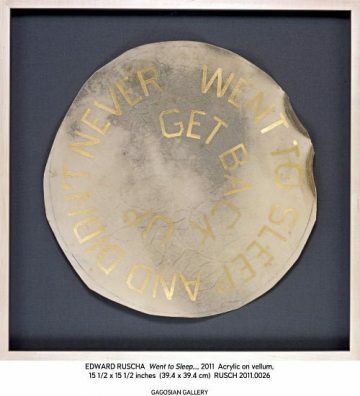 Ed Ruscha had a significant hand in shaping the development of US art from the 1950s onwards. His unorthodox approach has done much to shape modern-day responses to contemporary art. 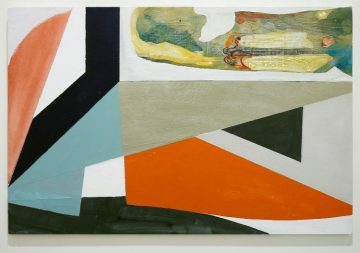 Distancing himself from the gestural painting associated with American expressionism, he developed his own artistic approach that drew on aspects of minimalism, pop art and conceptualism. His style is defined by research, innovation and experimentation alongside critical distance and his rational and strictly non-emotional stance. Mid-November 2018-end of January 2019 in the Secession, Friedrichstrasse 12, 1010 Vienna. mumok has the honor of hosting the first retrospective of the work of Austrian artist Ernst Caramelle. The exhibition covers all phases of his work from 1974 to the present day. Various media and Caramelle’s conceptual approach will be interlinked and given additional context for added accessibility, but without sacrificing the individual subtlety and strategic complexity of individual works. See also Top 2018 Art Exhibitions in Vienna: Klimt Schiele, Viennese Modernism and Best Major Art Exhibitions in Vienna in Winter 2017 / 2018 for more art shows earlier in the year and Top Treasures for some of the best works in the permanent collections of Austria’s top museums. Book Vienna Tours at GetYourGuide.